Je t'adorn: Amanda received my soup! Amanda emailed me that she received my bead soup and likes it! I'm glad because they are some of my favorite color combinations. I don't have mine yet, but she is making the focal (oh boy!). She deserves some slack since she is one of us who is still working full time. I'm so glad I retired from my "day job". Oh course, I've somehow managed to fill my days so I'm still pretty busy, but it is all what I want to do. Here's a photo of what I sent Amanda. 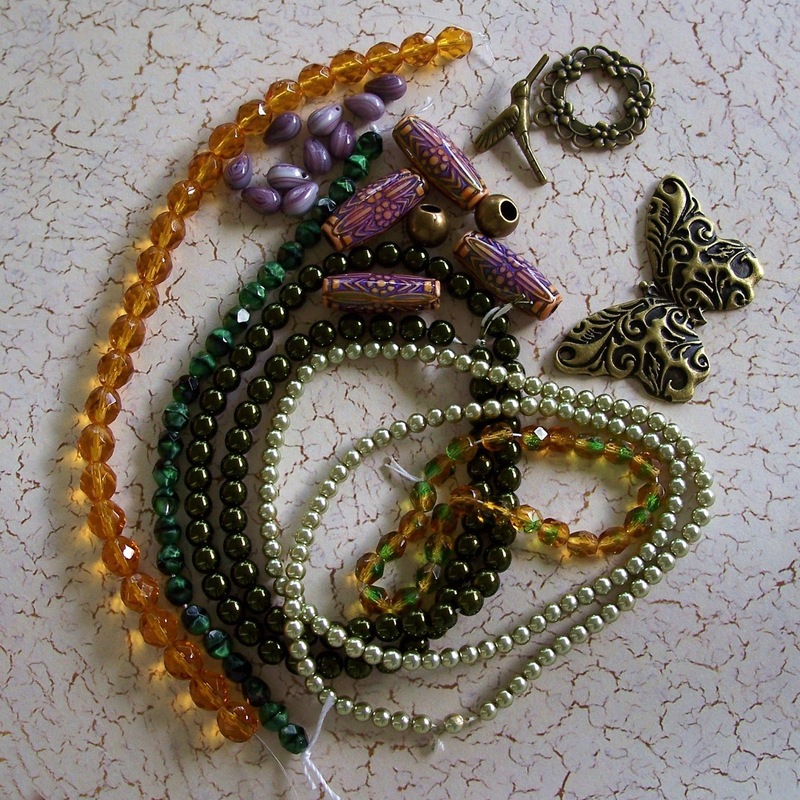 Nearly all of these came from AA Stained Glass and Beads, which is my favorite local bead store. The owner, Leslie Wayment, is participating the Bead Soup Blog Party for the second year and encouraged me to particpate. Very good advice, Leslie! I'm trying to visit as many of the blogs as I can in the blog party. Can't wait to see what you've gotten in the mail from your partner! The stuff you sent is gorgeous. My Bead Soup is Enroute! Bead Soup Blog Party Assignment! Recently retired from the computer industry, I now devote full time to developing as a jewelry artist. I spend a lot of time learning and implementing new techniques. I sell my jewelry primarily at art/craft shows, as well as ETSY at www.jetadorn.etsy.com and www.pollyclaydesigns.com. I am a member of the Canaveral Mineral & Gem Society.